Displaying products and services is easy at Lansing Center. Your vendor customers will find working your show a breeze. 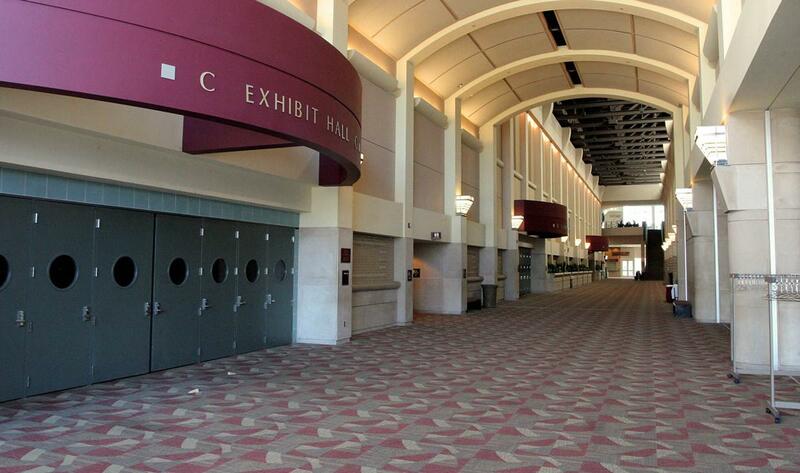 With 72,000 square feet of divisible, pillar-free exhibit hall space available, Lansing Center is capable of accommodating over 360 10’ x 10’ exhibit booths. Exhibit floor access through 3 exhibit loading dock areas, one with each hall division, makes exhibitor load in and load out a breeze. Exhibit dock doors can be raised to 21 feet in height with a 15 foot width, enabling easy access for large equipment display. Floor pockets situated throughout the exhibit space enables easy access for your power requirements. Quotes for exhibitor packages that include pipe and drape, 8’ covered and skirted exhibit booth tables, chairs and wastebaskets are available upon request. Kitchen space rental is possible but dependent upon dates of availability.